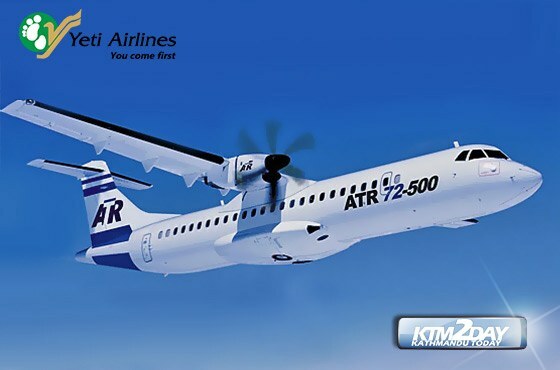 Nepali private carrier Yeti Airlines is set to induct an ATR 72-500 turboprop–the first of the two aircraft it plans to procure this year–into its fleet. The induction of new planes into our fleet is part of our cost-cutting and fleet renewal policy, the operator said. The plane is scheduled to arrive on July 19. Yeti Airlines will be the third operator of the aircraft type in the country after Buddha Air and now-defunct Necon Air. According to Yeti Airlines, it signed a purchase agreement with Nordic Aviation Capital in Singapore recently to acquire the planes. Headquartered in Denmark, Nordic Aviation Capital is the largest regional aircraft trading and leasing company with the world’s biggest ATR fleet. “In the first phase of the project, we plan to induct two ATR 72s into our fleet. 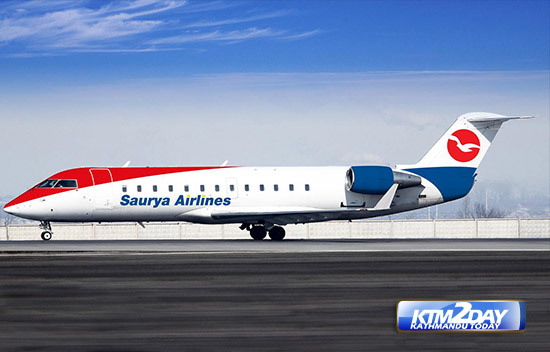 The second aircraft will be delivered within a month after the acquisition of the first plane,” airline officials said. The new planes will be used to support the operator’s domestic network and provide enhanced connectivity on trunk and short-haul routes. The ATR 72 will fly on routes like Bhadrapur, Biratnagar, Dhangadi, Nepalgunj and Bhairahawa. Established in 1998, Yeti Airlines currently has seven Jetstream 41s and operates to 10 destinations. The entry of two planned planes will also mark the record imports of aircraft in the country’s domestic aviation industry this year. Total aircraft deliveries in the domestic sector in 2017 will touch 10, or more. But many questions keep recurring. Will there be enough pilots to fly the new planes and enough technicians to maintain them? Will the Civil Aviation Authority of Nepal (Caan) be able to ensure appropriate safety oversight mechanisms to keep these airplanes operational, safe and flying? Yet another concern is parking space in the already congested the Kathmandu airport. On the other hand, airline industry will face much more aggressive competition in coming years due to the expansion of existing fleet and the growth of new airlines. This year, Nepal’s largest helicopter operator Shree Airlines, which is due to begin its fixed-wing operation, welcomed three Bombardier Canadair Regional Jets (CRJs), while Saurya Airlines inducted another CRJ into its fleet. Nepal Airlines Corporation and Goma Air added two new aircraft each into their fleet. Buddha Air added another ATR 72 into its fleet. The industry has been upbeat about the fleet expansion as it will ultimately benefit the consumers. With the presence of so many airlines in the domestic market, competition increases and pressure also increases to reduce air fare. But this change is going to fuel a pilot shortage. According to Shah, extensive discussions should be held to resolve the problem of experienced or quality pilot. “Until the problem is addressed, the country is likely to be heavily dependent on foreign pilots,” said Shah who has spent more than four decades as a senior captain with then Royal Nepal Airlines and Emirates. Nepalis have once again started resorting to air transport service to travel inside the country. After witnessing a constant fall in passenger numbers in the last four years, the domestic aviation sector rebounded strongly in 2016, recording an all-time high air traveller movement. According to statistics of the Tribhuvan International Airport (TIA), Nepal’s domestic air passenger movement jumped 28.85 percent to 1.75 million, as travellers chose to fly rather than drive over bone-jarring national highways. Domestic carriers received 393,548 more flyers last year. Passenger movement had been on a constant decline since 2012, marking a departure from the robust growth rates seen since 2008 when airlines were flying high due to competitive airfares and constant protests and road blockades that forced travellers to take to the air. Airlines saw a heady growth of 13 percent in 2008 which jumped to 33 percent in 2009 as they cut fares amid stiff competition. Although passenger movement increased 12.83 percent in 2010, the growth rate started dropping in 2011 and has shown a negative growth since 2012.